Good evening from EPHQ everyone! As I’m sure you’ve seen on Twitter & Facebook I’ve had the Internet buzzing over the past few weeks (AND especially today!) 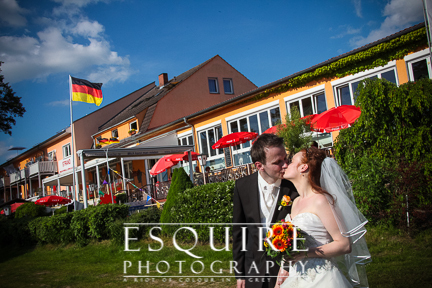 with more behind the scenes videos from Christin & Christoph’s destination wedding I photographed for them in Mirow, Germany. Well! Instead of me writing to you about how my experience was, I wanted to do something a little more personal & recorded a video to Christin, Christoph, PAPArazzi, MAMArazzi, Oma, Opa and all their friends & family. Before you scroll down to check out my some of my favourite photographs from Christin & Christoph’s destination wedding captured on a traditional Canon DSLR, my Nokia 808 Pureview and the most awesome camera to shoot with IN Germany – my Leica and all it’s vintage glass from the 50’s and you’re thinking you’d like to chat about your wedding or event, totally comment below or contact me anytime day or night. I’m available just about 24/7 via Twitter, Facebook, Google+, the form on my contact page, or the old fashioned phone as well at 888.ESQ.PHTO (888.377.7486) or 562.225.5915. I hope you’re having a great weekend AND STAY TUNED for some more videos from my trip to Mirow, Germany with Christin & Christoph like the boat rides, BBQ & eBike ride in the countryside where we rode for I believe it was 38 kilometers. AWESOME! To how much fun a wedding can be with the right wedding photographer!